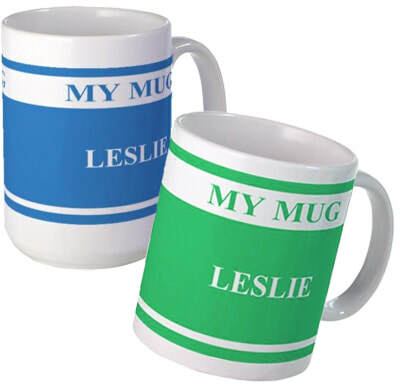 Classic white ceramic coffee mugs customized for you by the designer with your requested name. Background color on mug designs can be customized too! They come in 11 oz and 15 oz sizes and in a selection of designs to choose from. Your customized mug will be ready for you to buy online within 24hrs. 100% Full satisfaction guarantee or your money back! Mugs are printed and shipped by Cafepress, one of the first online retailers specializing in print on demand products. Print on demand products feature art and designs from individual artists and designers and are not mass produced.